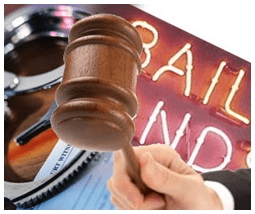 Appraisal Source LLC is an organized and professional business that assists homeowners who are in need of posting bail in Connecticut. We know how traumatizing these situations can be even for a short period of time so we understand the importance of moving quickly in order to get your loved one home as soon as possible. An appraisal is usually required to determine collateral for a bail or immigration bond while your loved one is in jail or some type of custody. These types of appraisals are what we call ‘drop everything we’re doing appraisals’ because when real estate is offered as security, you need to know what a property is worth and you need to know it fast. Our team of certified and experienced appraisers at Appraisal Source, LLC understands the complexities involved in assessing the value of a property under these difficult circumstances and work hard to provide you with the best possible experience. Our Senior Appraiser, Tammy Heeber, has extensive experience in working with local bail bond companies as well as a large number of local law firms when it comes to bail bond proceedings. Give us a call today with any questions you might have.